Well, I have finally wrangled up my first ever giveaway and just in time for 4th of July weekend! In all my coupon hunting, I ended up with 4 full Dunkin' Donuts Coupon Inserts! 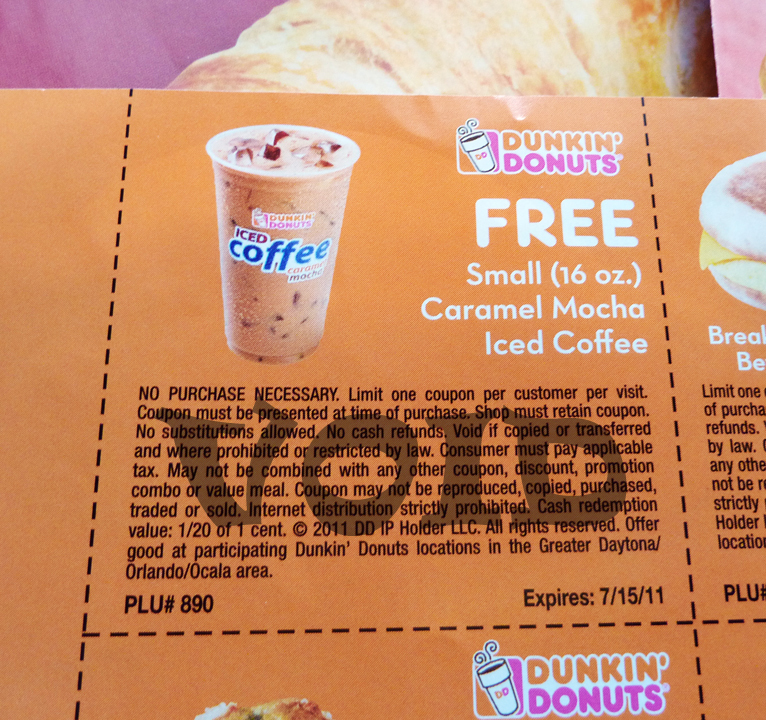 I do love donuts, don't get me wrong, but the best coupon in these is for a Free Small Caramel Mocha Iced Coffee. 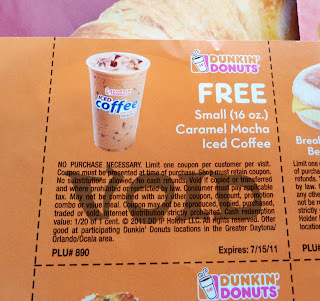 One thing to let everyone know before you enter, these coupons are only for the Greater Daytona/Orlando/Ocala Area, so if you do not live in Central Florida, these coupons will not be of any use to you. 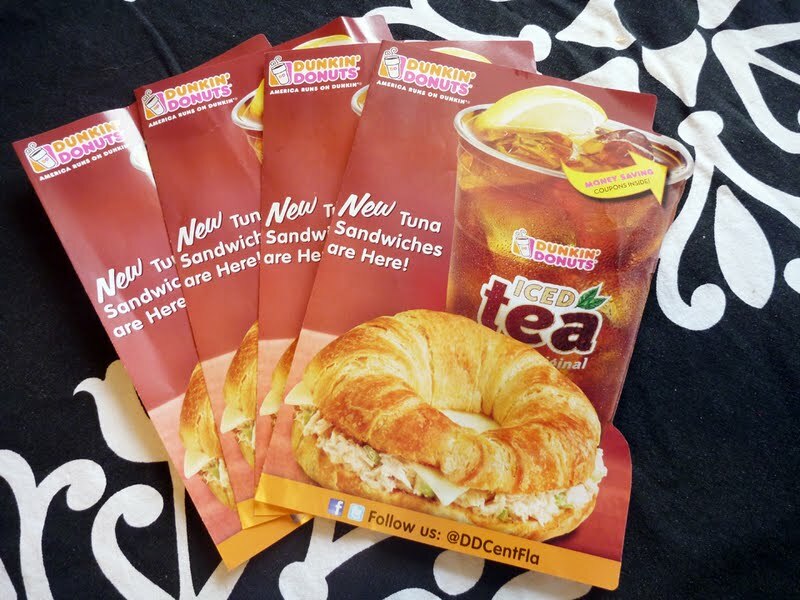 Also, all of these coupons are good until July 15th. To enter, leave a comment on this post. Facebook comments do not count! So make sure you comment on the actual blog post. *Only one comment per person will be counted for an entry. *Extra Entry - if you would like an extra entry, subscribe for emails from Show and Tell Meg at the top left of the blog page and then leave an additional comment letting me know you did. This giveaway will be open until 9pm on July 4th. The winner will be chosen at random using a random generator. I will notify the winner and post who won by the morning of July 5th and I will put the inserts in the mail to the winner on July 5th as soon as they send me their address.